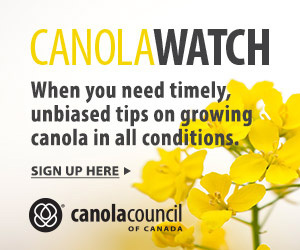 Jonathon Sammons, canola grower from Shelburne, Ontario, won the Ontario Canola Growers Association annual yield competition. The competition is based on yield from one pre-selected acre. His yield this year was 3,761 lb./ac. (or around 75 bu./ac.). Second place this year went to James Hammerton of Woodstock, who had a yield of 3,705 lb./ac. (74 bu./ac.). Interestingly, Hammerton achieved this yield growing a winter canola variety. See OCGA’s top 6 for 2018, including the varieties grown, at ontariocanolagrowers.ca.